We all know the enchanting story of Peter Pan, but how did that story actually come to be? The answer arrives this week as "Finding Neverland" sprinkles pixie dust on National Theatre from Tuesday to Sunday. WASHINGTON — Second star to the right and straight on ’til morning — all the way to D.C.
We all know the enchanting story of Peter Pan, but how did that story actually come to be? 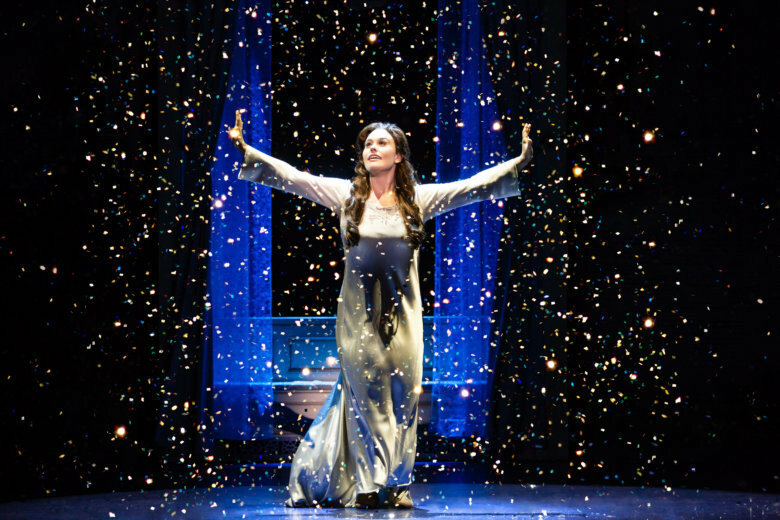 The answer arrives this week as “Finding Neverland” sprinkles pixie dust on National Theatre. Based on the play “The Man Who Was Peter Pan” (1998) and the Johnny Depp film “Finding Neverland” (2004), the story follows playwright J.M. Barrie, who struggles with writer’s block in 1903 London. That is, until he meets widowed mother Sylvia and her four sons at the park. Night in and night out, Gibbs remains impressed by co-star Jeff Sullivan, who plays J.M. Barrie. That song is “All That Matters,” as her widowed mother of four struggles to stay positive. It’s just one of the many tunes in a songbook by Scott Frankel & Michael Korie. The heartstrings are plucked by Mia Walker, who takes the reins from Tony-winning director Diane Paulus (“Pippin”) and choreographer Mia Michaels (“So You Think You Can Dance”). Fittingly, the visuals evolve from the realism of London to the fantasy world of Neverland. Speaking of whom, audiences love Connor McGuffin’s take on Captain Hook. You’ll also see Tinkerbell, who is created differently from the Mary Martin flashlight of yore. Such touches are the stuff of magic that makes “Finding Neverland” captivating for all ages.